© Michal Knitl | Dreamstime — The lesson of mathematics at primary school in Finland. 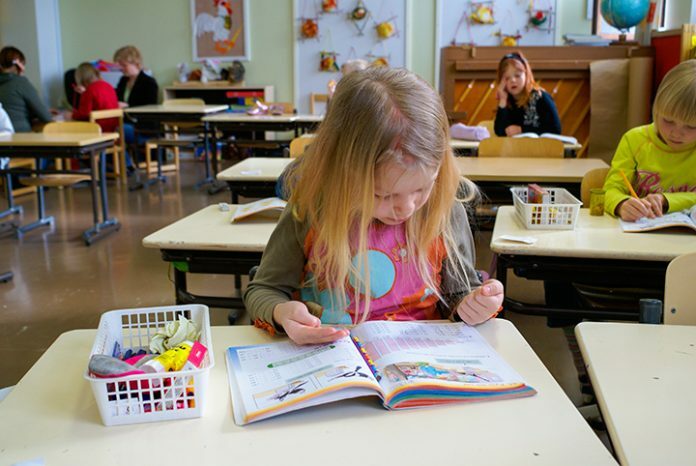 As a response to the challenges and developments that took place over the last two decades, the Finnish education ministry decided to introduce a new curriculum that is aimed to tackle these issues. Nevertheless, changes were imposed not only to the curriculum. Such traditional Finnish industry as paper manufacturing was nearly replaced by an increased preference for digital media. So even though Finnish system of education has consistently ranked as one of the best in the world, Finns do their best to improve it and to keep it relevant. So what are the most distinctive features of the new education system? 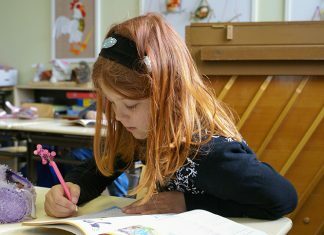 Though the 1990s model of education is focused on learning particular content to become a specialist in the field, the new curriculum was designed to teach young specialists the skills that will help them to obtain knowledge. The new system is aimed to replace subjects such as mathematics, geography, biology, etc. with topics. So instead of learning one particular subject, students will be able to to take charge of their own learning. The goal is to train young specialists intellectually curious to allow them to create their own understanding of a topic. Each year, besides such subjects as information communications technology, cross-cultural communication, active participation in society and entrepreneurship, a student will have to choose one “phenomenon-based” inter-disciplinary module. Inter-disciplinary modules are aimed to make a student learn and apply a variety of skills and competencies within a single lesson unit. Finnish people believe that there is no need to differentiate performance between students. Though there is a system of assessment, it is aimed to highlight areas where students have a lack of understanding. The feedback is individual and it is aimed to help students to see if there are any gaps in understanding of the material. The main role of the school in Finland is to encourage students’ strive for knowledge. It means that there is no such concept as competitiveness. Instead, teachers are aimed to create cooperative of students to develop their love for learning. Also, the process of learning in Finland is quite unhurried, so each student is able to catch the material up. In order to make the process of learning even more effective, there are free meals served at schools every day. Mainly it is fish, vegetables, and bread. All the components are aimed to improve students’ ability to learn. It is interesting to know that lunchtime is also considered to be a part of the educational process in Finland as students are taught nutrition and even table manners while they are eating. To make learning methods even more effective, Finnish schools saw a transformation that made them unique and even more attractive for learners. There are different learning zones in classrooms to allow each pupil to get a clear view of their peers’ presentations. In these learning spaces, teachers usually move around the classroom to allow everyone hear and see them. Also, there are hammocks and cushions in the classrooms where pupils can relax and recharge in between lessons.